In the past 2 weeks, more than 45,000 solar supporters like you have spoken up against a Snohomish PUD proposal that would shut down solar. The Snohomish Public Utility District is considering a proposal to replace retail-rate net metering for solar power with a “buy all, sell all” system. Net metering is a simple way to account for the solar energy that a customer produces and uses at their home or business. 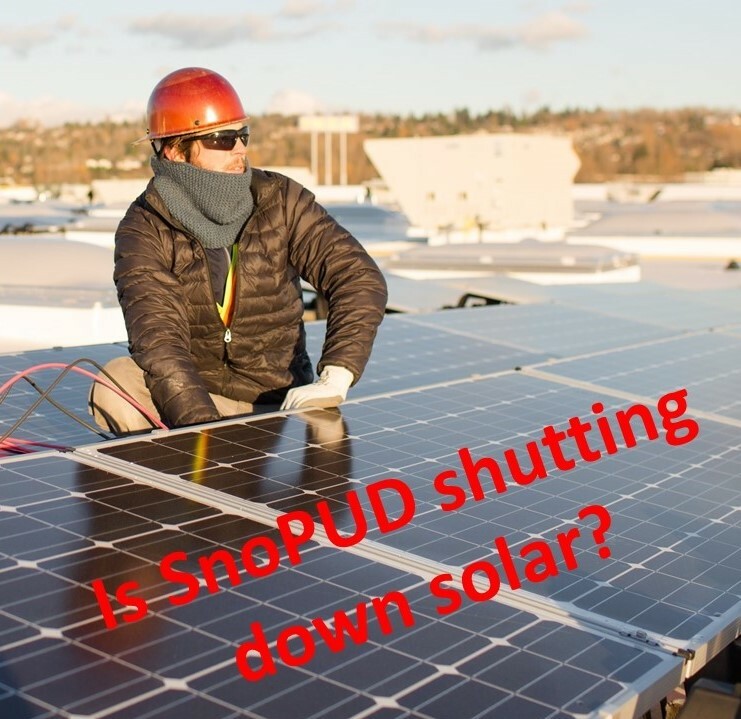 Instead of using their own solar energy, future solar owners here in Snohomish County would be forced to “buy all” their electricity from SnoPUD at the retail cost. Meanwhile, they’d be forced to “sell all” their solar power into the SnoPUD grid at a much lower price. In addition, this rate structure may deny the 30% federal tax credit to future solar owners. You can learn more about net metering vs. “buy all, sell all,” plus find the Solar Installers of Washington’s official position letter, here on SolarStrongWA.org. SnoPUD’s drastic rate changes have been proposed with almost zero public input. They could vote on this huge decision as soon as the next 2 months. Please ask our 3 elected SnoPUD Commissioners, as well as the General Manager/CEO, to schedule a mid-Sept hearing on this issue. Email your message to commissioners@snopud.com and cwcollar@snopud.com and BCC info@solarinstallersofwa.org so we can track our impact. Thanks for your help shedding sunlight on this back-room deal against the future of Washington’s clean energy. We’ll be sure to keep everyone updated as we learn more.